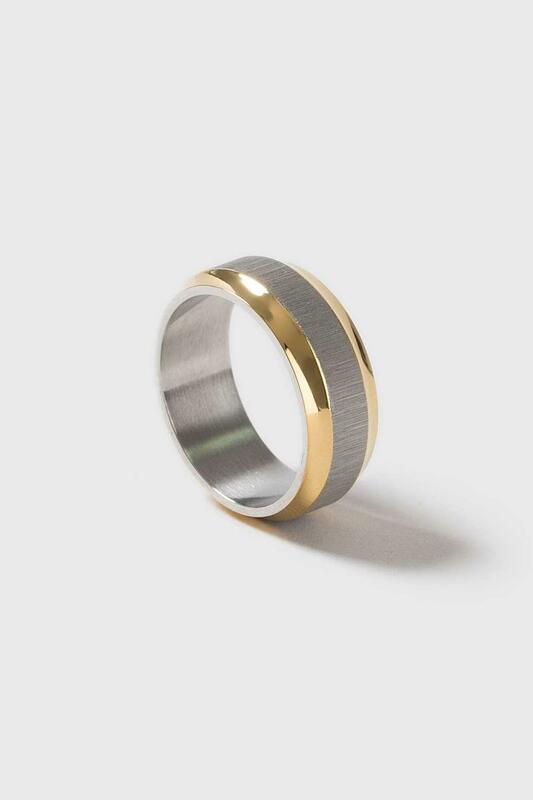 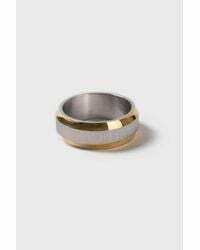 Mixed metal look stainless steel band ring with brushed insert. Ring dimensions, small 17mm. 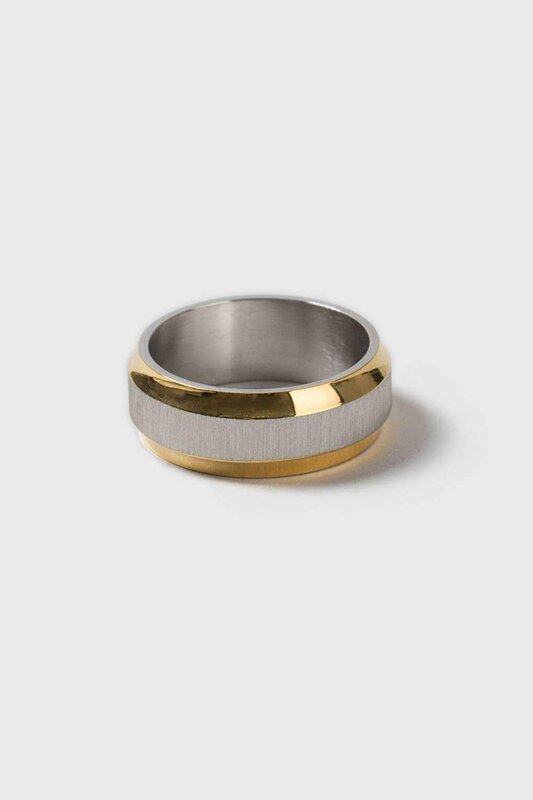 By 100% Metal.